MB Maschinenbau has always been watching closely the needs of its customers. If sanding tasks cannot be covered by the existing range of machines, MB is able to solve customer requirements with new designs. Often the customers face an additional need for edge sanding in one operation. With the new additional aggregate customers can also integrate lateral processing now. 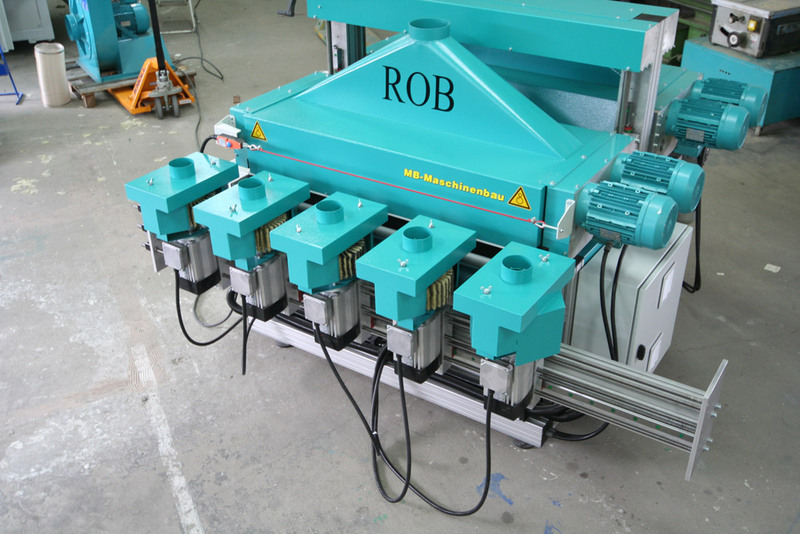 An example of such a requirement is a side sanding unit specially designed for a customer which is now a standard option for all MB surface sanding machines: The effective and easy to operate MB series of surface sanders such as ROBA Tech, ROBA Profi Brush, ROBA Big, ROBA Profi Clean and ROBA Profi Disc are appreciated by many customers. But quite often there is the need for an additional edge sanding in one operation. With the new sanding unit customers are now able to integrate a side processing. Individually set-up this additional unit can be integrated into any MB surface sander. Up to five vertical units are positioned against each other by means of a spindle, or if necessary, completely moved out of the working field.